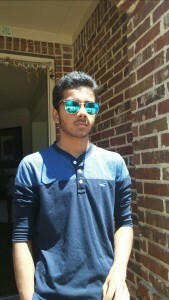 Let us introduce you to our student of the week, Yash C.! Yash took Fitness Fundamentals 1 where he really enjoyed the structure of the course. He also enjoyed what it taught him about creating a fitness schedule and is very excited about the results he saw while implementing his fitness routine. The thing I love most about my Carone Learning course is the structure of the program. The assignments are interesting, varied, interactive, and all-encompassing, making it all the more motivating to keep learning. Among the numerous tips and tricks the course has taught me, the one thing I will benefit most from is how to create a workout schedule. By learning to create and then following my workout schedule, I not only increased the number of workout hours without messing up my daily schedule but was able to increase the intensity of my exercises gradually. Carone Fitness has significantly helped me improve my level of fitness by helping me create a workout schedule, teaching me what exercises to do and when, advising me on when to stretch and how to prevent injuries, and instructing me on warm-ups and cool-downs. This has led to me building stamina, flexibility, strength, agility, and more. Ms. Watts, my cFitness instructor, has been absolutely phenomenal in interacting with me via emails, sending both reports of the course and personal check-ups, and in grading assignments expeditiously. Most assignments are graded in just 1 day! I signed up for a course through cFitness Academy because it provided me with the flexibility that I needed from an online P.E. course. This class is so much better than a regular online P.E. course! In Fitness Fundamentals 1 Yash was asked to come up with a set of rules for a sport and state why or how that rules keeps you safe, he chose cycling. Cycling Rule 1: Always wear a helmet. This prevents injury to the head in the event of a collision. Rule 2: If you are riding on sidewalks, always ride opposing the flow of traffic to ensure that they can see you and you can see them. Rule 3: If you are riding on the streets, always follow traffic and keep with the pace to avoid collisions. Rule 4: Always look both ways before making turns and check your blind spots. Rule 5: Be using your senses; use your ears and eyes to understand the environment around you and make judgments based on that. Rule 6: Make sure to yield to traffic when it is their right of way or when merging to a large roadway. Rule 7: Ride in the right-most lane to avoid irritated drivers and prevent slowing traffic too much. Rule 8: Use your arms as turn indicators to inform traffic you plan to turn. Just as all of our students are unique, we think Yash is pretty great and we’re proud to have him in class! Thanks, Yash!